Treatment of neglected Tendo-Achillis tendon rupture – Is the FHL transfer a current gold standard treatment? The Tendo-Achilles (TA) is the largest, strongest and thickest tendon in the human body . Risk factors predisposing to its rupture include being middle aged and male, sports (weekend warriors ), obesity, steroid injections and antibiotics (fluroquinolones). The rupture commonly occurs 2–6cm proximal to the TA insertion at the musculotendinous junction, which is a relatively hypovascular area . Historically, TA ruptures were considered a rare injury, but more recently their incidence has increased to the extent that it has become the most common tendon rupture of the lower extremity . 10–25 per cent of acute ruptures are undiagnosed [4,5], eventually leading to the neglected TA rupture. The possible reasons for the development of this entity can be attributed to misdiagnosis/delay in diagnosis, inappropriate treatment, delay in treatment or delayed presentation of the patient . There is no consensus on the exact time for an acute rupture to turn into a chronic/neglected rupture, but generally an interval of four to six weeks from injury to treatment is the accepted time period [3,7,8]. This injury is commonly seen in middle-aged men who present with complaints of difficulty or inability to climb stairs/slopes, weakness and difficulty in walking normally. Pain is usually not the chief complaint. These patients may find difficulty in resuming sports at the same capacity as before the injury. Often, history of the initial injury can be obtained. On examination of the affected side an obvious gap may be palpable, calf atrophy, increased range of dorsiflexion, weakness in plantar flexion and a positive Thompson’s test may be demonstrable. The patient will be unable to perform a single limb heel raise on the affected side. Radiologically, the diagnosis can be confirmed by an ultrasound or MRI evaluation. Although the Ultrasound examination is better in acute ruptures, the MRI plays a better role in finding the details of the tear and associated injuries. MRI has the advantage of confirming the injury and assessing the distance between the tendon ends, which in turn can help in surgical planning [3,5,7]. 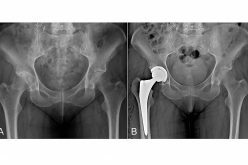 The treatment of the neglected TA rupture has been a challenge for most orthopaedic surgeons [9-11]. There is plenty of literature discussing the treatment for an acute TA injury, but there is a paucity of data on the treatment for a neglected TA rupture. Various options have been suggested but there is no clear “gold standard” procedure [3,7]. Some of the options available include conservative management, direct end-to-end repair, V-Y advancement, gastrocnemius fascial turndown flap, and augmentation with plantaris and Allograft transfers. Conservative management with a moulded ankle-foot orthosis can be an option for sedentary, elderly patients who are unfit for surgery [1,3]. However this immobilizes the ankle and hindfoot joints, altering biomechanics and gait . Further, the healing occurs by formation of abundant scar tissue between the already contracted ends of the TA, which alters the functional length of the muscle-tendon unit leading to reduced power and ankle instability . 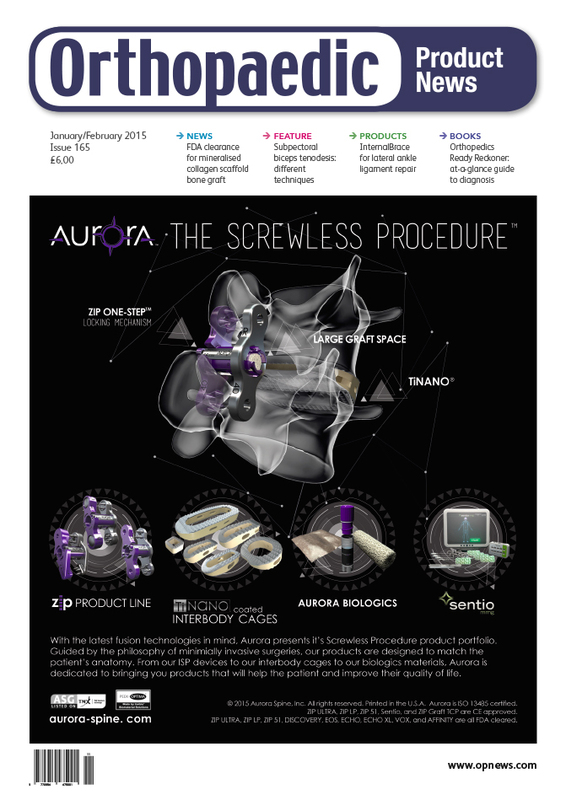 Best functional outcomes are achieved by surgical reconstruction . Surgical intervention provides better ankle movement, less calf atrophy, higher activity levels, improved strength in garo-soleus complex leading to stronger plantarflexion and better patient satisfaction . 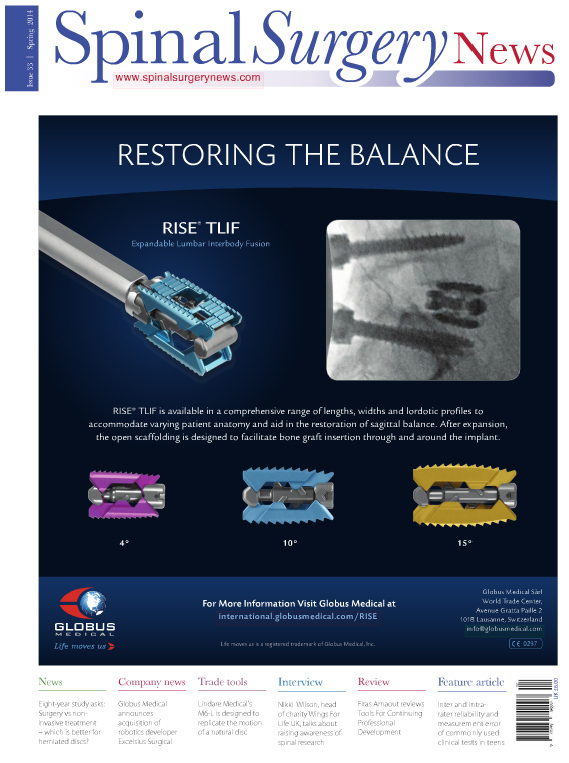 TA defects which are less than 2cm can heal via an end-to-end repair . However, this is uncommon in the neglected TA rupture due to sizable gaps resulting from shortening of the gastrocnemius-soleus complex and excision of scar tissue in the defect leading to larger gaps while refreshing the ends during surgery. This necessitates the use of other procedures to bridge the gap. Abraham and Pankovich in 1975 introduced the V-Y advancement flap for treating neglected TA ruptures . Khiami et al suggested repairing gaps measuring 3–5cm with this technique , while Ahmad et al repaired defects up to 6cm  and McClelland and Maffulli achieved satisfactory results by treating gaps greater than 6cm . However, it has been suggested that V-Y advancement should be used in younger patients and that the vascular supply of the soleus helps the repair to heal faster . Christensen, in 1931, first reported the use of fascial turn down flaps for treating neglected TA ruptures with gaps measuring 2–10cm [7,17]. Various modifications have been made to the original technique including the Bosworth repair. This procedure is suitable for all age groups with larger gaps, but the healing may be slower as there is no vascular supply from the soleus . Although this method is useful in bridging the gap, the physiological tendon-to-muscle length is altered resulting in contractility changes . A 23 per cent deficit in strength has been reported . Generally speaking, the longer the duration of the neglected TA rupture, the more unlikely it is to approximate the ends for repair, even with mobilisation of the proximal segment . This necessitates the use of augmentation procedures which may be autologus, synthetic or allograft materials. Autologus materials may be further subdivided into free fascia/tendon grafts and tendon transfers. The use of free fascia/tendon grafts has been reported by authors such as Bugg and Boyd, 1968, Schuberth et al, 1984, and Maffulli et al, 2005. Fascia lata  or the gracilis tendon  have been utilised for this. However, Maffulli reported a significantly reduced calf circumference along with significantly weaker plantar flexion strength as compared to the uninjured leg . This, coupled with the need for a separate incision for graft harvest, increased comorbidity and the technical difficulty in graft utilisation has made the use of local tendon transfers more popular . Local tendon transfers, in addition to the above mentioned advantages, also provide a viable structure, intact blood supply and augment plantar flexion strength . It has been suggested that tendon augmentations be used for all defects greater than 2–3cm . The most commonly used tendons are of the flexor hallucis longus (FHL), flexor digitorum longus (FDL) and peroneus brevis (PB), however the use of plantaris and posterior tibial tendon have also been described [22,23]. The use of PB may lead to a loss of eversion strength and ankle instability and therefore its use has declined . The FDL tendon has the advantage of mimicking the course of the TA and its use does not lead to a loss of power in the lesser toes or ankle instability . However, the FHL has clear advantages over it, which have been enumerated in the discussion section. Use of TA allograft for the reconstruction of neglected TA ruptures has been reported but limited to a few case reports . Their use has mainly been recommended when the defect is large (greater than 10cm ). The proposed advantages are the bridging of large defects, avoidance of donor site morbidity and relative ease of the procedure, however transmission of diseases, deep infection and graft rejection are its main concerns [3,8]. Studies have shown that the maturation process and integration of allografts is quite prolonged and may vary from 26 weeks to 18 months [24–27]. Synthetic materials such as vascular grafts, polyester mesh, polyglycol threads and carbon fibre composites are available. They benefit from the advantage of avoidance of sacrificing active tendons, avoidance of separate/ larger incision for graft harvest and potentially reducing the comorbidity related to these harvests [3,8]. Occurrence of foreign body reaction has been noted with the use of some of these materials  and their durability has not been proven . Acellular human dermal matrix (Graft Jacket) has been shown to incorporate well and resemble autologus tendon histologically . However, the use of synthetic materials in an area known for poor healing is a potential risk. Figure 1: MRI showing complete rupture of TA with a significant retraction. We treated 14 patients with neglected tendon ruptures between January 2013 to December 2015. Patients presented approximately 20 weeks post injury with the main complaints being weakness and pain, while ambulating and with gait disturbances. The weakness was especially profound while trying to climb stairs or walking up a slope. Some of these active patients could not return to their recreational activities, which ranged from walking to racket sports. 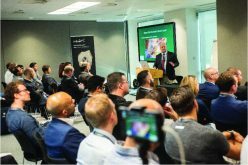 A clear history of the original trauma could be elicited, but there was a failure to diagnose the acute rupture on initial presentation at various stages, both in primary and secondary care. On clinical examination there was obvious wasting in the calf, a palpable gap, significantly reduced plantar flexion power and positive Thompson test. Single limb heel raise was not possible which was not associated with loss of medial arch or heel valgus. Hence clinical diagnosis of a neglected TA rupture could be ascertained which was subsequently confirmed with an MRI scan. Pre-operative AOFAS scoring was done for all the patients and they were offered treatment of TA reconstruction with an FHL tendon transfer. All patients were operated by the same senior surgeon using the same surgical technique. The pre-operative average AOFAS score was 22, which increased post-operatively to 94 indicating excellent outcomes at the end of assessment. Surgery was performed under general anaesthesia, with the patient in prone position with a tourniquet placed on the thigh. After the usual aseptic precautions of painting and draping the limb, a posteromedial approach to the TA was used. This approach avoids the sural nerve and grants easier access to the FHL tendon . The paratenon was incised and the fibrous tissue was debrided. We encountered an average gap of 5–8cm. The tendon ends looked atrophied with fatty infiltration on visual examination on the table. The gap in the TA was utilised to approach the FHL muscle belly anteriorly. The muscle was identified and its tendon traced inferiorly. An adequate length of the tendon, usually 3.5cm, was gained and excised in the tunnel. Krackow stitches were placed to allow for easy handling of the tendon. Arthrex FHL repair kit was used for the preparation. The width of the tendon was measured, and a correspondingly-sized drill was used to create a tunnel in the calcaneus, just anterior to the TA insertion, avoiding the calcaneal tuberosity. The FHL tendon was passed into this tunnel and fixed with an interference screw while holding the ankle in about 60 degrees of plantar flexion. Myoplasty of the FHL with the gastrocnemius was also performed proximally. The deep fascia was closed over the defect followed by interrupted absorbable stitches for the subcutaneous layer. The skin was closed using interrupted mattress stitches with nylon. The limb was placed in a black slab postoperatively and the patient was advised non-weight bearing mobilisation for a period of six weeks. A close watch was kept on the wound healing and in all our cases the wounds had healed well by two weeks post-op, when suture removal was done. This was followed by serial cast applications with reduction in plantar flexion by 20 degrees every two weeks. At the end of six weeks, physiotherapy was initiated and full weight-bearing mobilisation in an air cast boot was started. The boot was weaned off after six weeks with progression to more advanced physiotherapy exercises. Figure 2: A) Exposure of torn TA and FHL. B) Dissection of the FHL into the tunnel leading up to sustentaculum tali. C) Preparation of drill hole tunnel into the calcaneum and, D) Insertion of FHL into the tunnel and bio composite screw. TA ruptures are the most common tendon ruptures of the lower limb of which 10–25 per cent of the acute ruptures are missed, developing into neglected tears [3–5]. They lead to ankle dysfunction and marked functional impairment [23, 31–32]. 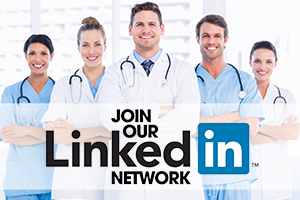 Most reports confirm that non-operative management does not produce good results . Neglected TA ruptures are managed operatively unless otherwise contraindicated . Boyden et al have inferred from their study comparing immediate versus late TA reconstruction that patients with late reconstruction have successful clinical outcomes which are comparable with early repairs . Following a rupture, contraction of the triceps sure complex can occur as early as three to four days post injury . Amyotrophy associated with degeneration in the proximal and distal ends of the rupture occurs within 10 days . As a result, the ends are retracted, atrophic with severe fat infiltration [4,16]. This poses a considerable challenge in procedures requiring placement of sutures at the ends of the tendon. This problem can be overcome by the use of local tendon transfers. A loss in an active range of motion at the interphalyngeal joint has been reported, however this is clinically insignificant even in running sports requiring good push-off [35,36]. 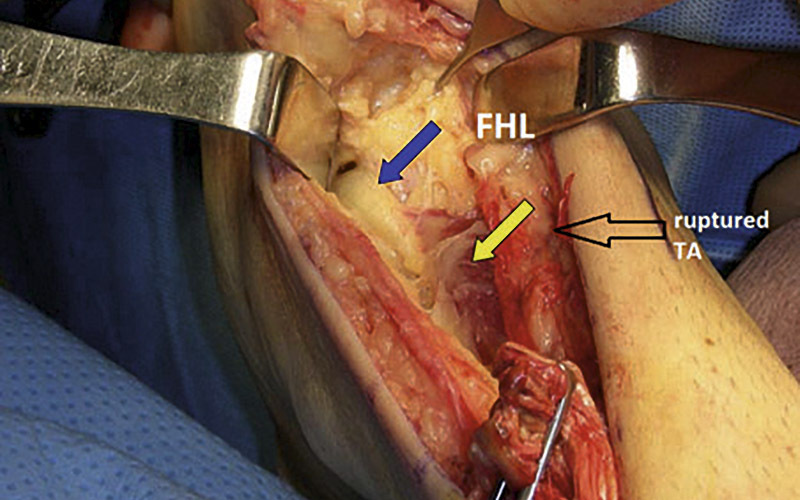 Because of these advantages an increasing number of surgeons are preferring the use of FHL tendon transfer for the reconstruction of neglected TA ruptures and reporting positive outcomes . “V-Y Advancement and FHL Transfer for the Chronic or Neglected Achilles Tendon Rupture – Raikin.” V-Y Advancement and FHL Transfer for the Chronic or Neglected Achilles Tendon Rupture – Raikin – OrthopaedicsOne Articles – OrthopaedicsOne, www.orthopaedicsone.com/display/Main/V-Y+Advancement+and+FHL+Transfer+for+the+Chronic+or+Neglected+Achilles+Tendon+Rupture+-+Raikin. Schweitzer, Mark E, and David Karasick. 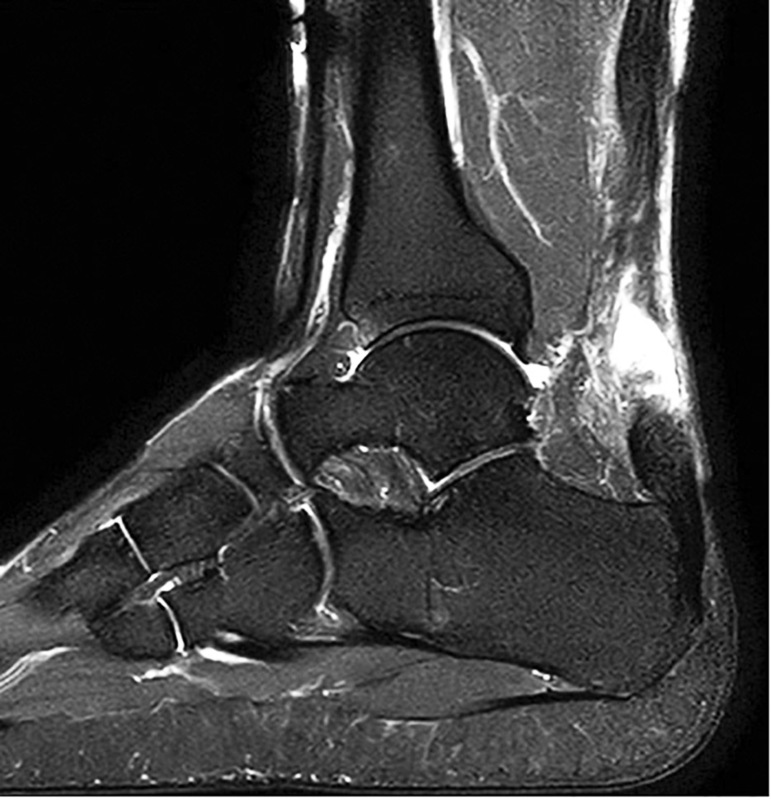 “MR Imaging of Disorders of the Achilles Tendon.”American Journal of Roentgenology, vol. 175, no. 3, 2000, pp. 613–625., doi:10.2214/ajr.175.3.1750613. Lee, Jake, and John M. “Surgical Treatment of the Neglected Achilles Tendon Rupture.”Achilles Tendon, Aug. 2012, doi:10.5772/30014. Wegrzyn, Julien, et al. “Chronic Achilles Tendon Rupture Reconstruction Using a Modified Flexor Hallucis Longus Transfer.” International Orthopaedics, vol. 34, no. 8, 2009, pp. 1187–1192., doi:10.1007/s00264-009-0859-1. Bevilacqua, Nicholas J. “Treatment of the Neglected Achilles Tendon Rupture.” Clinics in Podiatric Medicine and Surgery, vol. 29, no. 2, 2012, pp. 291–299., doi:10.1016/j.cpm.2012.01.004. Taylor, Robert. “Neglected Achilles Tendon Ruptures: Surgical Considerations.” 2010, pp. 115–118, www.podiatryinstitute.com/pdfs/Update_2010/2010_22.pdf. Lin, Yangjing, et al. 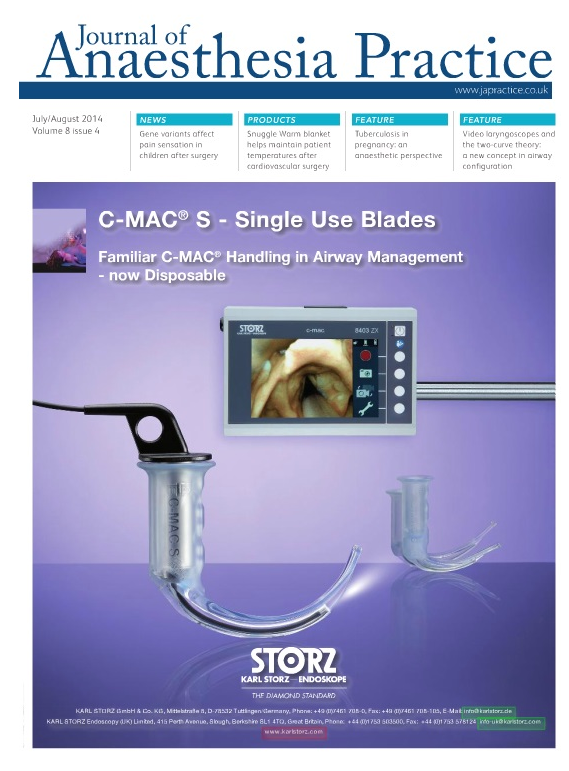 “Surgical Strategy for the Chronic Achilles Tendon Rupture.” BioMed Research International, vol. 2016, 2016, pp. 1–8., doi:10.1155/2016/1416971. Park, Yong-Serk, and Ki-Sun Sung. “Surgical Reconstruction of Chronic Achilles Tendon Ruptures Using Various Methods.” Orthopedics, 2012, doi:10.3928/01477447-20120123-13. Cetti, RenÃ©, et al. “Operative versus Nonoperative Treatment of Achilles Tendon Rupture.”The American Journal of Sports Medicine, vol. 21, no. 6, 1993, pp. 791–799., doi:10.1177/036354659302100606. Mcclelland, D., and N. Maffulli. “Neglected Rupture of the Achilles Tendon: Reconstruction with Peroneus Brevis Tendon Transfer.” The Surgeon, vol. 2, no. 4, 2004, pp. 209–213., doi:10.1016/s1479-666x(04)80002-7. Dabak, T. Kursat, et al. “The Effect of Phospholipids (Surfactant) on Adhesion and Biomechanical Properties of Tendon: A Rat Achilles Tendon Repair Model.” BioMed Research International, vol. 2015, 2015, pp. 1–6., doi:10.1155/2015/689314. Elias, Ilan, et al. “Reconstruction for Missed or Neglected Achilles Tendon Rupture with V-Y Lengthening and Flexor Hallucis Longus Tendon Transfer through One Incision.” Foot & Ankle International, vol. 28, no. 12, 2007, pp. 1238–1248., doi:10.3113/fai.2007.1238. 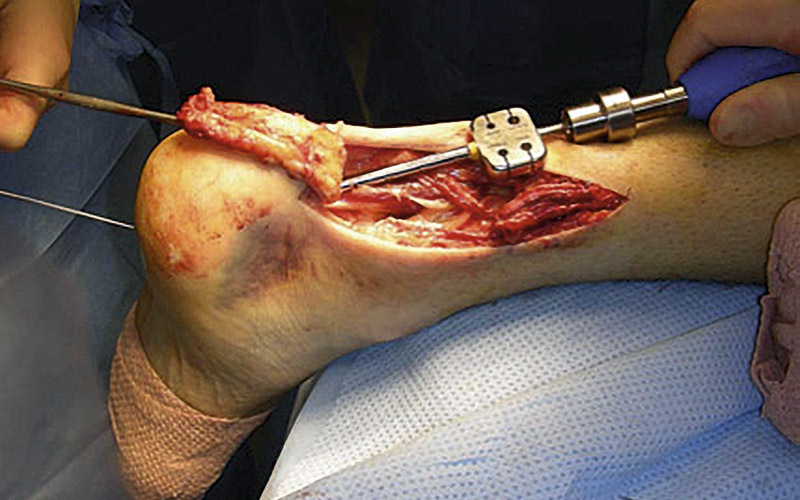 Myerson, Mark S. “Disorders of the Achilles Tendon.” Reconstructive Foot and Ankle Surgery, 2010, pp. 341–357., doi:10.1016/b978-1-4377-0923-0.10027-x. Abraham, E, and Am Pankovich. “Neglected Rupture of the Achilles Tendon. 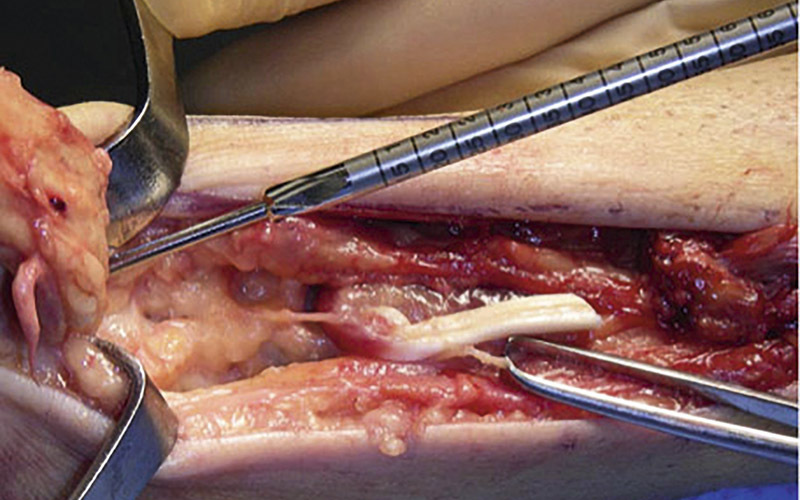 Treatment by V-Y Tendinous Flap.” The Journal of Bone & Joint Surgery, vol. 57, no. 2, 1975, pp. 253–255., doi:10.2106/00004623-197557020-00019. Khiami, F., et al. “Treatment of Chronic Achilles Tendon Rupture by Shortening Suture and Free Sural Triceps Aponeurosis Graft.” Orthopaedics & Traumatology: Surgery & Research, vol. 99, no. 5, 2013, pp. 585–591., doi:10.1016/j.otsr.2013.03.021. Ahmad, Jamal, et al. “Treatment of Chronic Achilles Tendon Ruptures With Large Defects.”Foot & Ankle Specialist, vol. 9, no. 5, Aug. 2016, pp. 400–408., doi:10.1177/1938640016640895. Christensen, I. “Rupture of the Achilles Tendon; Analysis of 57 Cases.” Acta Chirurgica Scandinavica, 1953, pp. 50–60. Magnusson, S. Peter, et al. “Human Tendon Behaviour and Adaptation,in Vivo.” The Journal of Physiology, vol. 586, no. 1, Jan. 2008, pp. 71–81., doi:10.1113/jphysiol.2007.139105. Bugg, Everett I., and Basil M. Boyd. “Repair of Neglected Rupture or Laceration of the Achilles Tendon.” Clinical Orthopaedics and Related Research, vol. 56, 1968, doi:10.1097/00003086-196801000-00012. Maffulli, Nicola, and Wayne B Leadbetter. “Free Gracilis Tendon Graft in Neglected Tears of the Achilles Tendon.” Clinical Journal of Sport Medicine, vol. 15, no. 2, 2005, pp. 56–61., doi:10.1097/01.jsm.0000152714.05097.ef. Hartog, Bryan D. Den. “Flexor Hallucis Longus Transfer for Chronic Achilles Tendonosis.” Foot & Ankle International, vol. 24, no. 3, 2003, pp. 233–237., doi:10.1177/107110070302400306. Schedl, Rudolf, and Paul Fasol. “Achilles Tendon Repair with the Plantaris Tendon Compared with Repair Using Polyglycol Threads.” The Journal of Trauma: Injury, Infection, and Critical Care, vol. 19, no. 3, 1979, pp. 189–194., doi:10.1097/00005373-197903000-00011. Platt, H. “Observations on SOME TENDON RUPTURES.” Bmj, vol. 1, no. 3666, Nov. 1931, pp. 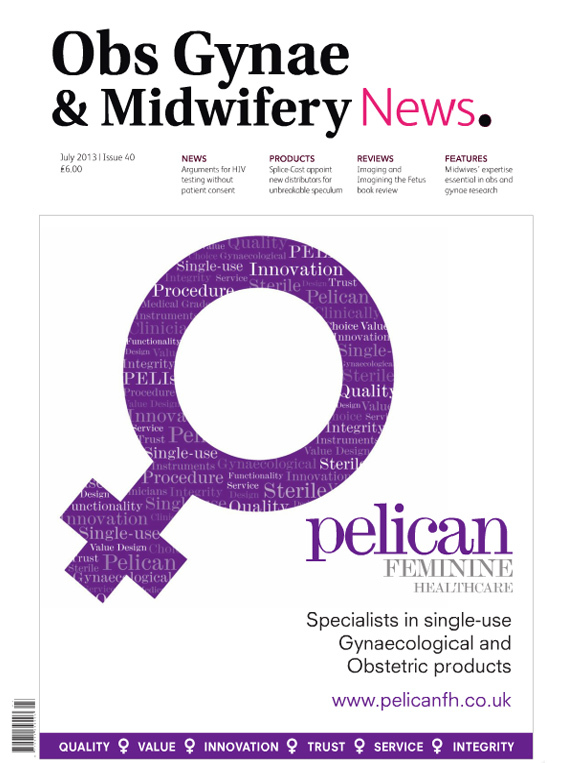 611–615., doi:10.1136/bmj.1.3666.611. Lepow, Gary M., and Justin B. Green. “Reconstruction of a Neglected Achilles Tendon Rupture With an Achilles Tendon Allograft: A Case Report.” The Journal of Foot and Ankle Surgery, vol. 45, no. 5, 2006, pp. 351–355., doi:10.1053/j.jfas.2006.06.004. Shino, K, et al. “Maturation of Allograft Tendons Transplanted into the Knee: an Arthroscopic and Histological Study.” Journal of Bone and Joint Surgery, 1998, pp. 556–560. Arnoczky, S P, et al. “Replacement of the Anterior Cruciate Ligament Using a Patellar Tendon Allograft. An Experimental Study.” The Journal of Bone & Joint Surgery, vol. 68, no. 3, 1986, pp. 376–385., doi:10.2106/00004623-198668030-00010. Jackson, D.w., et al. “Cruciate Reconstruction Using Freeze Dried Anterior Cruciate Ligament Allograft and a Ligament Augmentation Device (LAD).” The American Journal of Sports Medicine, vol. 15, no. 6, 1987, pp. 528–538., doi:10.1177/036354658701500602. Amis, A. A. “Comparison of the Structure of Neotendons Induced by Implantation of Carbon or Polyester Fibres.” Plastic and Reconstructive Surgery, vol. 78, no. 6, 1986, p. 842., doi:10.1097/00006534-198678060-00088. Mandelbaum, Bert R., et al. “Achilles Tendon Ruptures.” The American Journal of Sports Medicine, vol. 23, no. 4, 1995, pp. 392–395., doi:10.1177/036354659502300403. Hadi, M., et al. “Surgical Management of Chronic Ruptures of the Achilles Tendon Remains Unclear: a Systematic Review of the Management Options.” British Medical Bulletin, vol. 108, no. 1, Apr. 2013, pp. 95–114., doi:10.1093/bmb/ldt019. Maffulli, Nicola, and Adam Ajis. “Management of Chronic Ruptures of the Achilles Tendon.”The Journal of Bone & Joint Surgery, vol. 90, no. 6, 2008, pp. 1348–1360., doi:10.2106/jbjs.g.01241. Maffulli, Nicola, et al. “Chronic Achilles Tendon Disorders.” Clinics in Sports Medicine, vol. 34, no. 4, 2015, pp. 607–624., doi:10.1016/j.csm.2015.06.010. Bosworth, David M. “Repair Of Defects In The Tendo Achillis.” The Journal of Bone & Joint Surgery, vol. 38, no. 1, 1956, pp. 111–114., doi:10.2106/00004623-195638010-00011. Oksanen, Maria M., et al. “Hypertrophy of the Flexor Hallucis Longus Muscle after Tendon Transfer in Patients with Chronic Achilles Tendon Rupture.” Foot and Ankle Surgery, vol. 20, no. 4, 2014, pp. 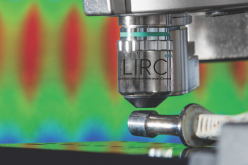 253–257., doi:10.1016/j.fas.2014.06.003. Coull, Roderick, et al. “Flexor Hallucis Longus Tendon Transfer: Evaluation of Postoperative Morbidity.” Foot & Ankle International, vol. 24, no. 12, 2003, pp. 931–934., doi:10.1177/107110070302401211. 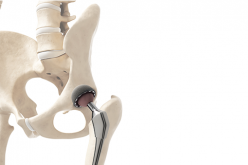 Patient-specific instrumentation for total hip and knee arthroplasty: Is it the new surgeons’ guide to improve implant positioning?